To build a strong brand amid increasing international competition and unforeseen circumstances that are carried across social media and possibly across mass media as well, destinations must have in place a well defined brand strategy that covers all potential scenarios and doesn’t just focus on communications. 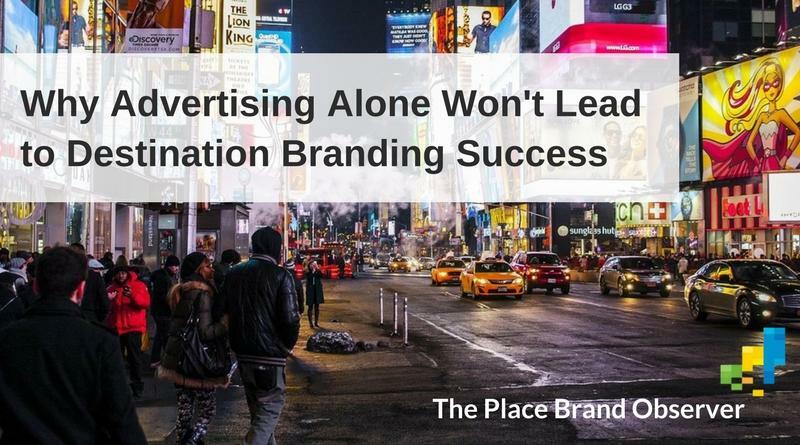 In the post, Marcus Osborne identified five key reasons for developing a brand strategy, rather than relying on advertising magic for destination branding success. 1 A brand strategy clearly defines the organisation values and promises and ensures stakeholders understand what is required of them to deliver on those promises and values. For a nation brand this internal branding is critical to the success of the brand. 2 Staying with the internal brand, lots of tourism boards and CVBs attend trade shows but those representing the countries or states are often hired last minute and poorly trained. A brand strategy will ensure training occurs at the best possible time. 3 A brand strategy ensures the brand is ready for every eventuality, with a crisis plan to address issues such as those that have happened in India, the Maldives and most recently, Boston. 4 A brand strategy ensures all stakeholders are pulling in the same direction. If one state is targeting visitors at the same time as another state, resources are being wasted. A brand strategy will ensure integration and engagement, not individual tactics. 5 A brand strategy ensures time isn’t wasted on stand-alone tactical initiatives implemented at the whim of a government servant or other person who should know better.Far too many countries or destinations give the responsibility of building their brand to creative advertising agencies. These agencies are called advertising agencies for a reason. They do advertising. Marcus Osborne’s observations are spot on – especially those about trade shows and fairs like World Travel Market o ITB. And with more and more place professionals now aware about the difference between place marketing and branding, there is no excuse for hiring the wrong people or putting out calls for tender which don’t live up to international standards and best practice. If unsure what those look like, you’ll find examples in our case studies section. You might also be interested in the 9 differences between advertising agencies and brand consultancies. Enjoyed this post on why advertising without a brand strategy will never lead to successful country or destination branding? Share and spread the word!